Hello CTG readers! 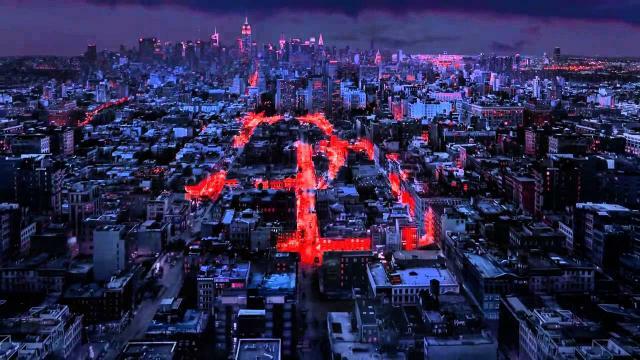 For our Daredevil coverage we will be writing (short and long, depending on how much I, Frank of Mike want to say) reviews for each single episode, culminating into an entire season-review sometime next week! Enjoy the show everyone! I have been so excited for Daredevil’s Netflix series. This is my favourite Marvel character and everything about this series leading up to its debut made it look like it was going to be the adaptations fans were looking for. The cast seemed flawless, and the dark and gritty tone looked like it would do justice to this street-level hero. I can already tell from this pilot episode that this series is everything I was hoping for. Let’s start off with talking about the cast. Charlie Cox IS Matt Murdock, this is a very hard role to cast and Marvel got it right. In preparation for this role, Cox spent a month with a blind man, observing and scrutinizing his movements. It paid off, he is effectively able to portray Matt’s handicap without the use of silly contact lenses like in that Movie that we will all forget about once we finish this series. Cox is also extremely charming and charismatic as Matt during his scenes with Foggy and Karen but the best moments come when he’s out at night. The opening fight sequence stood out, because of Cox’s performance as he showed that Daredevil is in a fact a frightening figure. His display of rage and impatience showed the characters flaws and right off the bat I could tell this series understands it’s protagonist in a way that will satisfied the die-hard fanboys, like myself. Matt is the clear standout in this episode but the supporting characters are all great as well. Elden Hensen works perfectly as Foggy Nelson, bringing the wit and charm of the character on his own while having solid chemistry with the main hero. Their relationship is also perfectly portrayed, adding yet another layer of greatness and accuracy to this great adaptation. The cinematography is equally dark, in the best way possible. A lot of the series takes place at night, and the use of shadows to cover faces is very prominent in this series. It’s hauntingly beautiful and feels reminiscent of Frank Miller and Alex Maleev’s artwork. The cinematography, the grounded approach to the storytelling and the vulnerability of our hero all culminate into the dark tone we expected and it works perfectly. Daredevil isn’t a light-hearted hero (at his roots) and the writers aren’t trying to reinvent who this character is and how he functions. This series is set on giving comic fans what they want and showing fans of the MCU just how diverse the universe is. This show is not the MCU we’ve come to love, it’s different and fresh. That’s why it’ll appeal not only to avid readers, but to casual fans of superhero film as well. I cannot finish this review without mentioning how fantastic the action in this episode is. You feel a sense of urgency in each scene because Matt gets hit and Matt doesn’t display invulnerability. He has powers but he’s still just a man and they conveyed this very extremely well. However, the standout in this action sequences is how well the choreography demonstrate Matt’s ninja combat style. This is exactly how I picture Daredevil fighting when I read comics. This show deserves much praise for the intricacies of how faithful it is to the character. In terms of problems, I have one small issue with the episode and it’s one that has been mentioned in a few other reviews. One scene, involving Karen Page, Matt Murdock and some exposition goes on for a little too long. On the plus side, it adequately set-up the inevitable relationship between these two and gave a chance for Cox and Woll to demonstrate their chemistry. On the down side, it dragged near the end. The scene just felt a little long and detracted just a little bit from the experience of this episode, but that’s a minor complaint that is overshadowed by everything that this episode gets right. This episode set the stage for a fantastic adaptation to my favourite Marvel hero. The tone is as dark as you would expect, bringing a new layer to the Marvel Cinematic Universe that we have never seen before. This is going to be a crime-drama show and hopefully it will live up to the amazing crime stories of Brian Michael Bendis and Frank Miller. The cast, being one of the best ensembles in Superhero T.V., all knocked it out of the park in this episode. There are very few hiccups in this dire episode that tells not wory because, once again this brilliant company will not disappoint.